New hotel development in Australia is set to slow as the country’s struggling apartment market contributes to a decrease in residential-led mixed use projects, states a new report from JLL. The last five years have seen a raft of new hotel developments in Australia’s key markets, but 2019 will mark a distinct slow-down, warns JLL. “There are strong signals that suggest that if a project is not currently under construction or shovel ready then the probability of it proceeding has diminished over the past twelve months,” JLL’s Troy Craig said. The sector’s tapering has been accelerated by the downturn in the residential sector as many new hotel projects form part of mixed-use developments and have been pushed along by the historically stronger development profit margins of residential. Other factors contributing to the tightening development outlook include regulation-driven curbs on development lending and increasing construction and land costs, especially in Sydney and Melbourne. Despite a slow start to 2018, hotel sales volumes picked up over the second half of the year to record a total of around A$1.8 billion across 35 transactions. This supply wave has gone a long way to addressing concerns that tourism in Australia was being held back by an ageing fleet of hotels, particularly when compared to the standard of hotels across Asia. But as the end of the hotel development cycle looms, investors with development plans should be extra vigilant, Mr Craig warned. Deloitte expects 3,000 new rooms will be added nationally in the next three years, the majority in Perth, Sydney and Melbourne. Thirty-two new hotels are expected to open in Melbourne alone over the next two years, adding 6,500 new rooms to its existing stock of about 20,000. 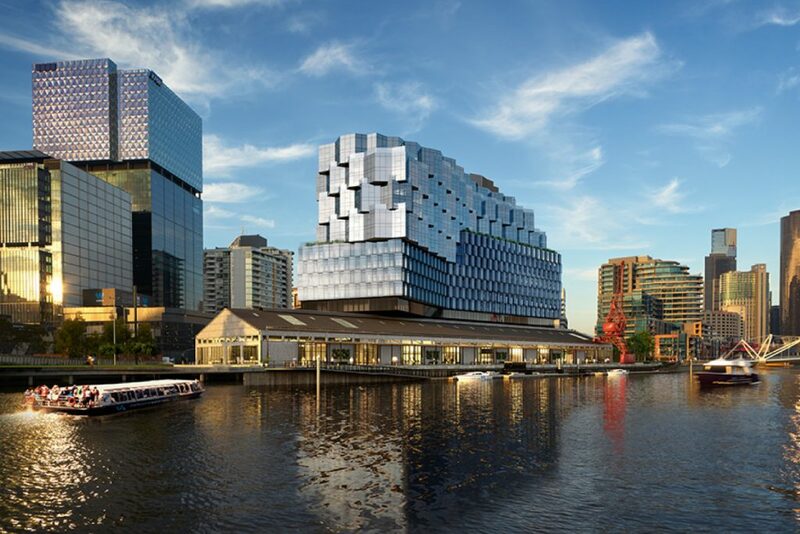 Last month, private developer Riverlee announced that sustainable hotel brand 1Hotel would form the centrepiece of its $450 million Northbank “Seafarers” mixed-used development on Melbourne’s Yarra River. The new hotel will feature 280 guest rooms, a state-of-the-art wellness centre, a ground floor 1000-seat function hall, a variety of restaurants and a lobby bar. Melbourne has absorbed a number of new properties in recent years, but the sheer number opening will push its occupancy rate below 80 per cent in 2020, Ms Labine-Romain said. Some hotel developers, however, remain sanguine about the sector’s prospects. A packed crowd at a recent Property Council’s Hotel Outlook event heard that Melbourne boasts “safe-haven status” as one of the most “secure and strong” markets in the region. Dean Minett of hospitality and hotel real estate consultancy Minett Consulting says it’s unlikely that our major hotel markets will become over-cooked. “Melbourne’s hotel sector managed to bounce back from the GFC more successfully than other major cities and given the current conditions, the current pipeline of development will be absorbed,” Minett declared. The PCA panel, however, cautioned that secondary assets will be most affected by new supply. “There are a small number of products that are of poorer quality, and some of those hotels are vulnerable. They must refurbish or reposition to remain profitable,” Harper warned. The AFR reported this week that Hilton will make its debut in the Melbourne CBD later this year after the iconic American chain signed up to operate a new $100 million hotel being developed by Singapore tycoon Michael Kum’s M&L Hospitality. The new 244-room hotel, currently under construction and due to open in late 2019, is a redevelopment of the historic 1930s Equity Chambers building on the corner of Bourke and Little Queen Street in Melbourne’s legal precinct, which M&L Hospitality purchased for $25 million in 2017.